Cosplay: Just plain fun or striving for perfection? I’m about to try to sleep, but I wanted to post an update on my cosplay costume search. 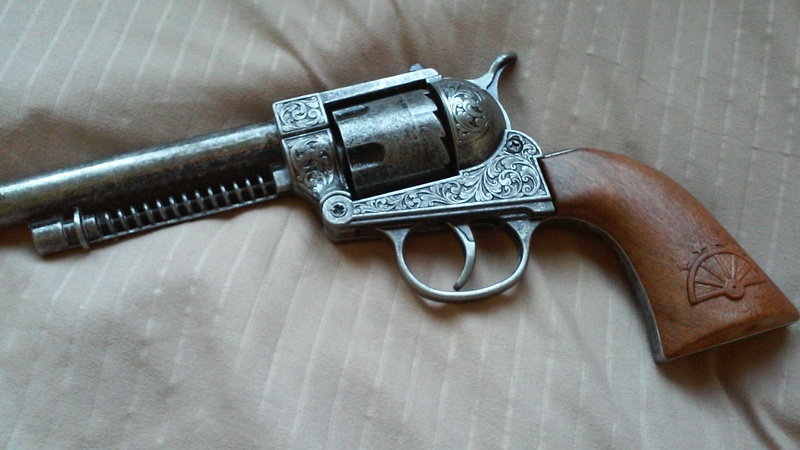 I found a gun which looks pretty authentic. My Dad is a cop and gun enthusiast so I grew up being exposed to guns. This looks and feels fairly real. It does have an orange cap on the end though, so hopefully no one will think I’m a bank robber! I bought 2 holsters and belts. The brown one above looks a lot more like River’s. However, the black one I got has a great belt and 2 holsters and a leg tie. 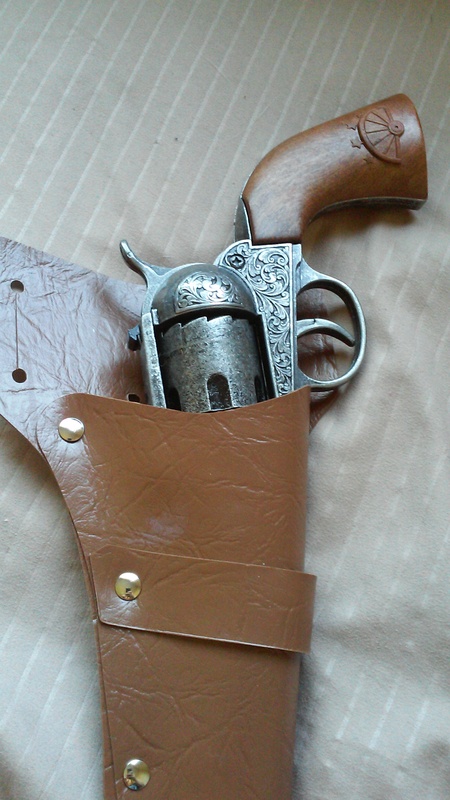 The brown holster came with a terrible belt that looked like canvas from the 1970’s. So now I have to decide if I’m doing this more for FUN or ACCURACY? The reality is that I won’t be able to pass myself off as Alex Kingston, no matter how many props I get, so why try. However, I do want to do the best I can so the other cosplayers and comicon attendees will recognize me as River. I have so much respect for cosplayers who spend time sewing their costume and get every detail correct. I would love to be able to do that. There are a lot of people who spend a ton of money on costumes too. Maybe I will be able to do that some day. For now, I’m going to do the best I can and have FUN! 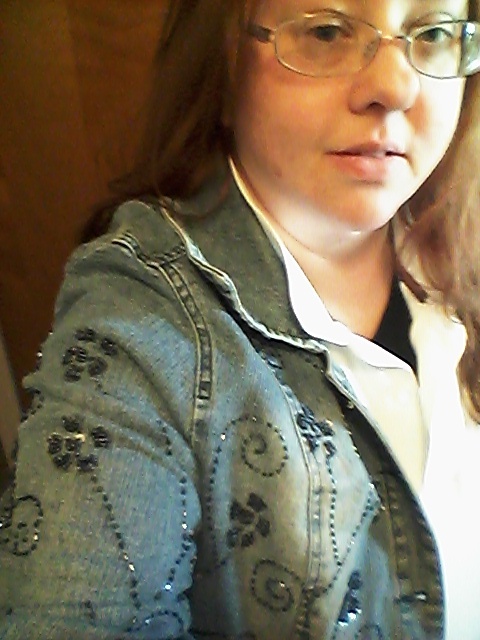 As you can see, I do have the white shirt and jean jacket, but mine has fabulous sparkles on it. Well, maybe River went back to the 1980’s and bedazzled her jacket. You never know with her! I intend to have a ton of fun tomorrow with Liora and hopefully meet a lot of cosplayers. I want to take a bunch of pics and post them here to share the cosplay/comicon love. Look for my next post to be all about Steel City Con. 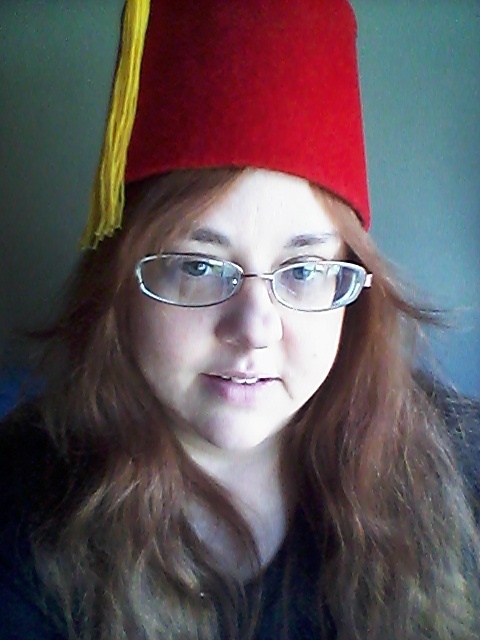 Here’s me trying on Liora’s fez. She’s cosplaying as the Doctor. Pics of her will be posted prob tomorrow night. She looks adorable. At the con, I’m hoping to meet Noah Wyle and Gates McFadden. Maybe I’ll get a pic or 2. Let’s hope! Looking forward to meeting all the great people there. Let’s have FUN with our cosplay and enjoy each other in all our geekiness!